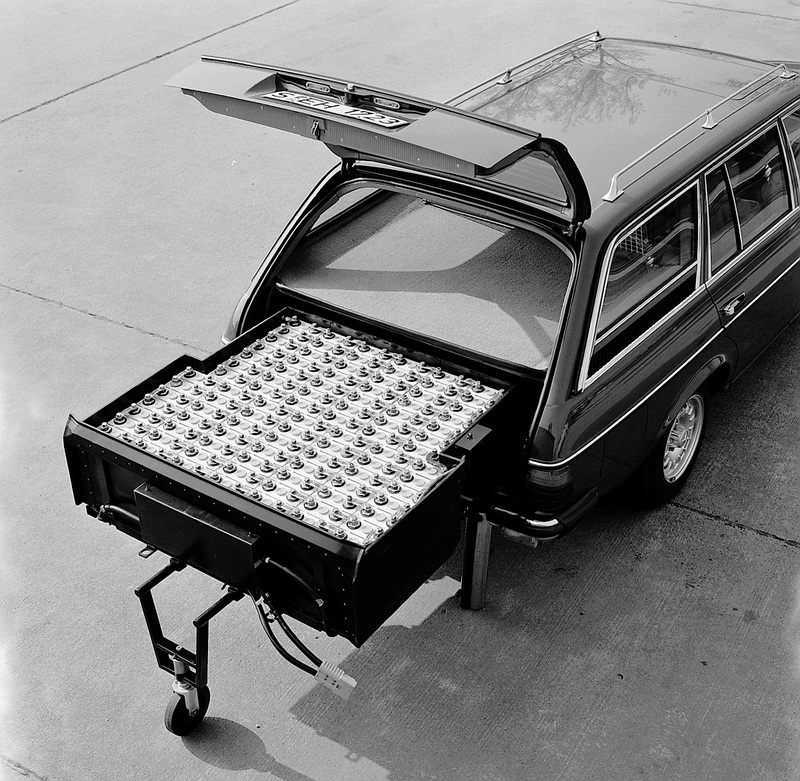 Motivated by the 1979 energy crisis, Mercedes-Benz traveled to the 32nd annual Hanover Trade Fair that took place in 1982 to showcase a battery-powered prototype based on the w123 wagon. The electric w123 was part of Mercedes’ goal to test all technically and economically feasible alternatives to traditional gasoline- and diesel-powered cars and it was never considered for mass production. From the front bumper up until the C-pillar, the prototype looked like any other w123 wagon and there was nothing that hinted it was powered by electricity. Beyond that, careful observers noticed that the rear windows were shorter in order to accommodate metal air vents, and that the fuel door located on the right quarter panel was significantly larger than the one found on a regular T-series models. An electric motor that developed the equivalent of 41 horsepower was mounted in the wagon’s engine bay. It sent power to the rear wheels via a four-speed automatic transmission that was derived from the one found in regular-production w123s. One of the key differences between the two gearboxes was that the unit bolted to the prototype featured a friction clutch controlled by the accelerator pedal instead of a hydraulic torque converter, a modification that minimized power loss. The motor got electricity from a water-cooled nickel-iron battery pack, a then-new technology that was said to boast twice the energy density of a comparable lead-acid battery pack. The batteries were mounted in a tray hidden in the car’s trunk that could be pulled out by attaching a small wheel and sliding part of the bumper out of the way. When not in use, the wheel and its support mechanism were stowed away neatly under the car’s hood. The battery pack tipped the scale at 1,322 pounds (600 kilograms) and ate up most of the wagon’s cargo space. It stored enough electricity to power the car for up to 62 miles (100 kilometers) and it could be recharged on a regular European-spec 220-volt household outlet. Surprisingly, Mercedes equipped the electric w123 with a two-cylinder four-stroke gasoline engine that acted as a range extender. It gave the w123 an extra 30 miles (50 kilometers) of autonomy and essentially made it a plug-in hybrid; the two-cylinder also explained why what was billed as an electric car was equipped with an exhaust pipe. 41 horsepower would have been too little to comfortably propel a regular w123 wagon so it was far too low when the 600-pound battery pack was factored in. As a result, the prototype had a top speed of roughly 50 mph (80 km/h). Mercedes engineers tested the prototype in 1982 and 1983 but it presented too many setbacks and the project was shelved. The German automaker continued to test electric vehicles throughout the 1980s and developed an all-electric variant of the w201 190 several years later. All photos were kindly provided by Mercedes’ archives department. What’s with the round modular headlights in what appear to be USA-spec bezels? 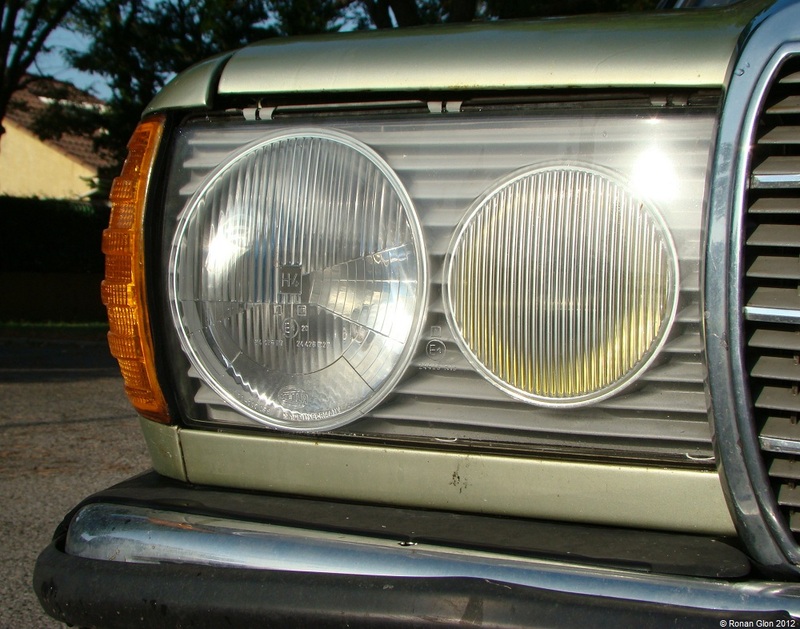 Didn’t non-USA W123s have bespoke flush-fitting headlight assemblies? Pingback: Gas 2 | What is the future of fuel? What's new? What's next? Since 2007, Gas 2 has covered a rapidly changing world coming to terms with its oil addiction.